Every Workout Ends with Dark Matter! ProSynthagen's unique combination of clinically tested essential free form amino acids plus amino acid peptides stimulates protein synthesis faster than just whey isolate. ProSynthagen's amino acid matrix has been clinically shown to increase protein synthesis by 360% and is fine tuned with "Dual Portal Transport" for even faster and greater intestinal uptake by combining powerful free form aminos with leucine peptides. These unique characteristics give ProSynthagen a much higher protein synthesis score which provide optimal muscle building effects. To complete the anabolic infusion, HydroSize, a multi-source creatine and glycerol complex, enhances muscle volumizing and bioenergetic creatine loading into muscle tissue. This complex provides an optimal five gram creatine blend including creatine monohydrate, creatine pyruvate and creatine gluconate, plus glycerol for maximum creatine saturation and cell volumizing. 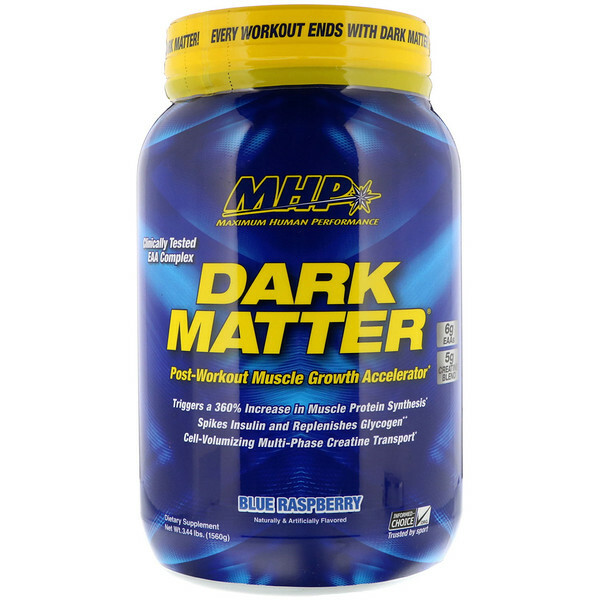 Get the most out of your workouts with Dark Matter. 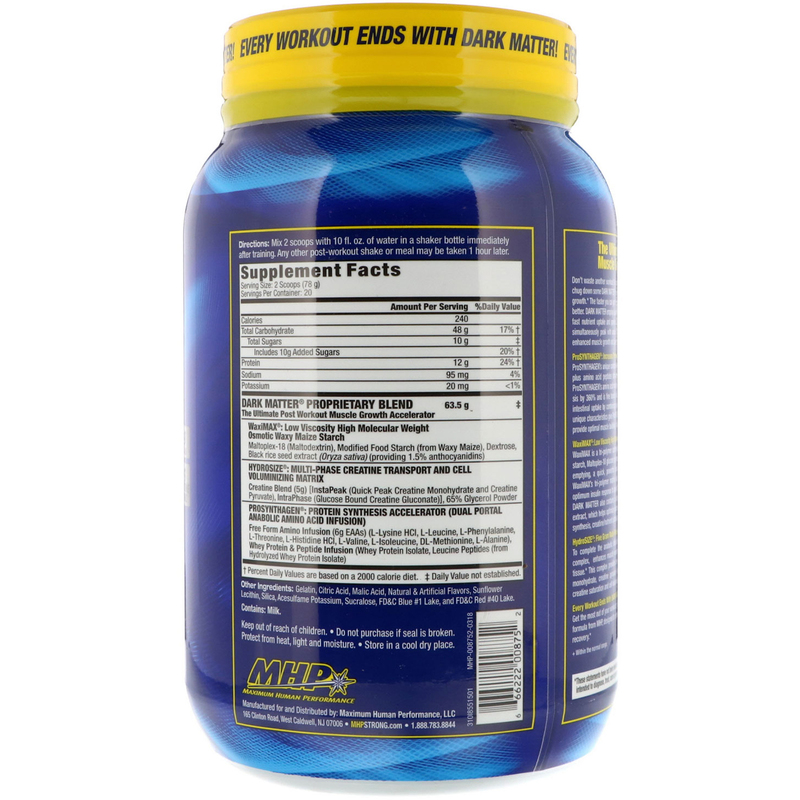 The highly advanced post-workout formula from MHP, designed to refuel your body for increased muscle building and faster recovery.